Pramod Sawant is an Indian politician and leader belongs to Bharatiya Janta Party (BJP). He is well known for being the 13th Chief Minister of Goa Legislative Assembly. He captures media attention when he filled the place of Manohar Parrikar as the Goa Chief Minister after Manohar Parrikar‘s demise on 17 March 2019. Let us know more about him. Pramod Sawant was born on 24 April 1973 in a modest family in Bicholim, a city in North Goa. He is 46 years old (as in 2019). Pramod’s hometown is Sanquelim, a town in the North Goa. Besides being a politician, Mr. Sawant is also a professional Ayurvedic practitioner. In 1996, he received his Bachelor of Ayurveda, Medicine, and Surgery from the Ayurvedic Medical College of the Ganga Education Society in Kolhapur. He is also a postgraduate from Tilak Maharashtra University Master of Social Work at Pune in 2010. Pramod Sawant joined RSS at a young age and became an active Sangh Pracharak. He soon rose to the higher ranks in RSS. Mr. Sawant’s bond with Manohar Parrikar was great. In fact, he is considered as Manohar Parrikar’s protege. Like Parrikar, Mr. Sawant also kept the image of a man next door and speaks the common man’s language. Pramod after being actively involved with RSS (Rashtriya Swayamsevak Sangh), he was brought into active politics by Manohar Parrikar. Pramod after being a part of BJP soon became the state president of the Bharatiya Janata Yuva Morcha. Mr. Sawant was elected from the Sanquelim Constituency in March 2012 to the Goa Legislative Assembly. He was re-elected to Goa State’s Seventh Legislative Assembly in March 2017. He served as the Goa Legislative Assembly’s Speaker from 2017 to March 2019. Parrikar handpicked him to assume the position of Speaker in 2017. Pramod Sawant is a member of a community of Maratha Kshatriya. The name of his father is Pandurang, whereas the name of his mother is Padmini Sawant. Pramod Sawant is married to Sulakshana, who is a professor of chemistry at Bicholim’s Shri Shantadurga High School. Sulakshana Sawant is also a BJP leader and has worked as BJP Mahila Morcha’s Goa unit president. The couple has a daughter named Parthivi. He took the oath of Chief Minister of Goa in his mother tongue. He likes to read books written by reputed social activists. His hobby is also doing social work and meeting people for the backward and downtrodden classes. He tweeted about Manohar Parrikar that he was a politician, guide, architect and a patriot of modern Goa who has left for the heavenly abode. He is also Goa Youth Club Federation’s president. He’s an avid cow lover as well and a prominent cow activist in Goa. 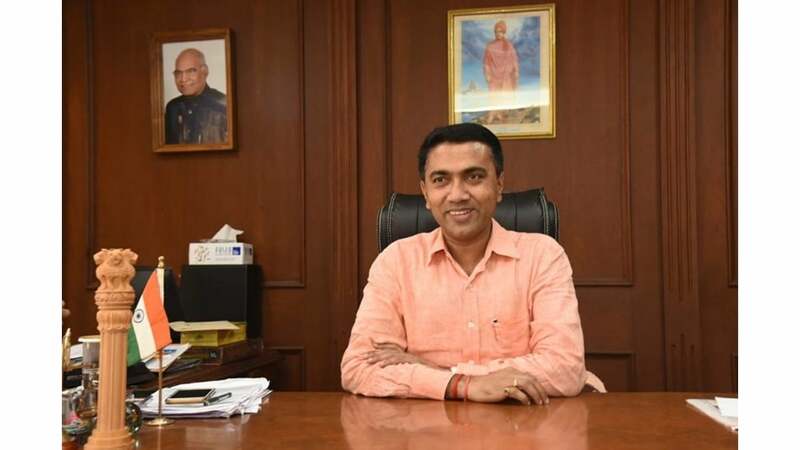 These were the latest information about Pramod Sawant Wiki, Age, Biography, Wife, Children, Family & More. As soon as we get more details, we will update this information accordingly. You may share your experience or any kind of suggestion with us by leaving a quick comment below. Thank You!